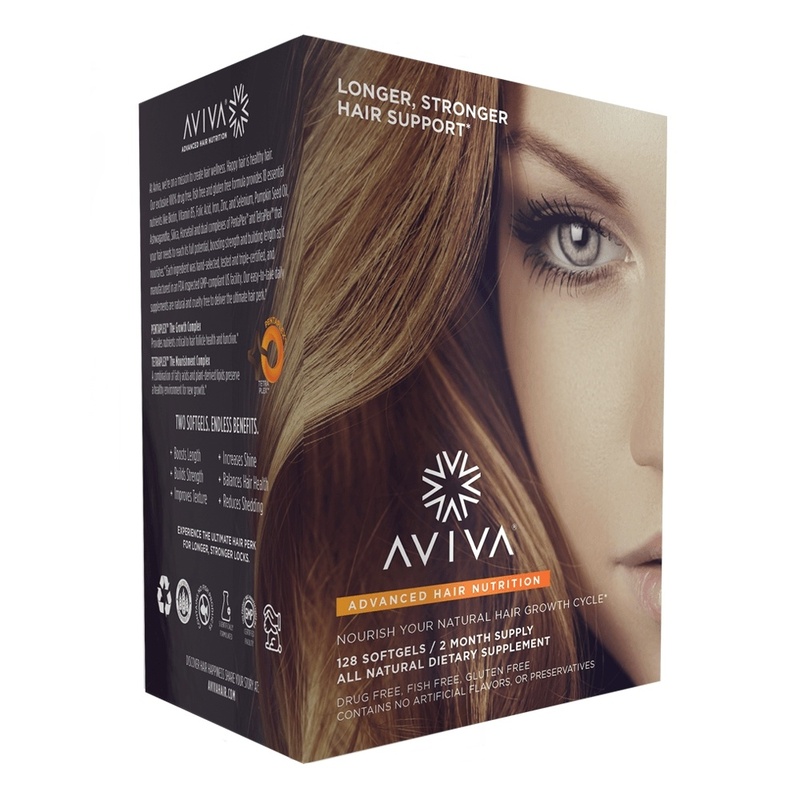 Build length and boost strength with Aviva all-natural hair nutrition. 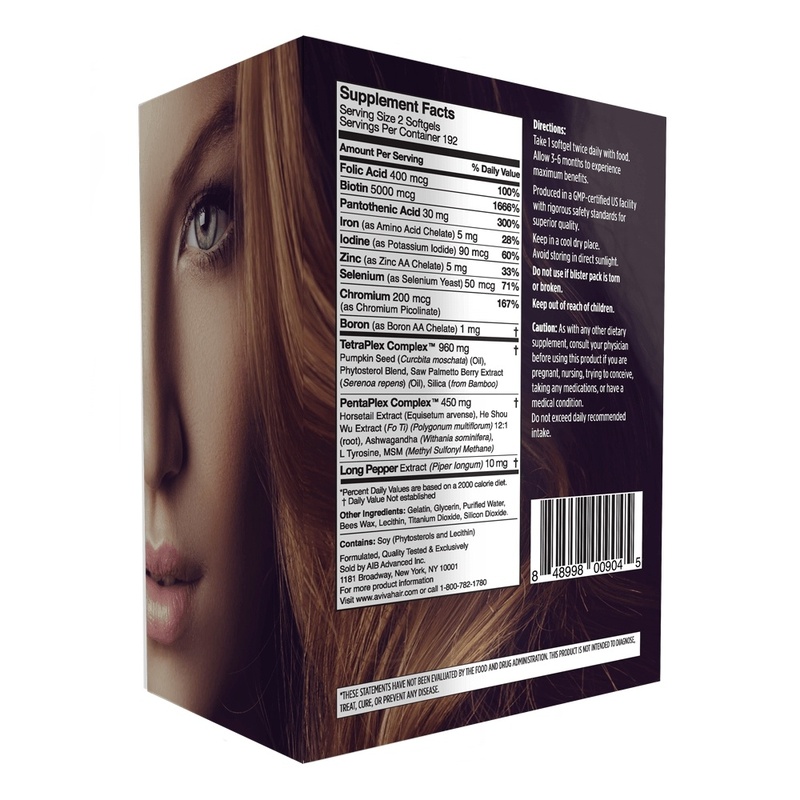 Aviva Advanced Hair Nutrition supplements provide 18 essential nutrients that your hair needs to grow long and strong. Clinically proven to increase hair growth, volume, thickness and softness with our exclusive dual complex of PentaPlex™ and TetraPlex™ that work with the natural hair growth cycle to restore hair health and reduce shedding. Made with an all-natural blend of premium hand picked botanical and nutraceutical ingredients to deliver the ultimate hair perk. 5,000 mcg of Biotin, Vitamin B-5, Folic Acid, Zinc, Iron Pumpkin Seed Oil, Selenium, Boron, Ashwagandha,Saw Palmetto Oil, Silica, Horsetail Extract, He Shou Wu Root, Long Peper Extract & MSM. 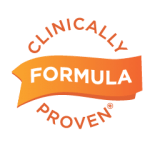 Aviva Advanced Hair Nutrition is easy to take. 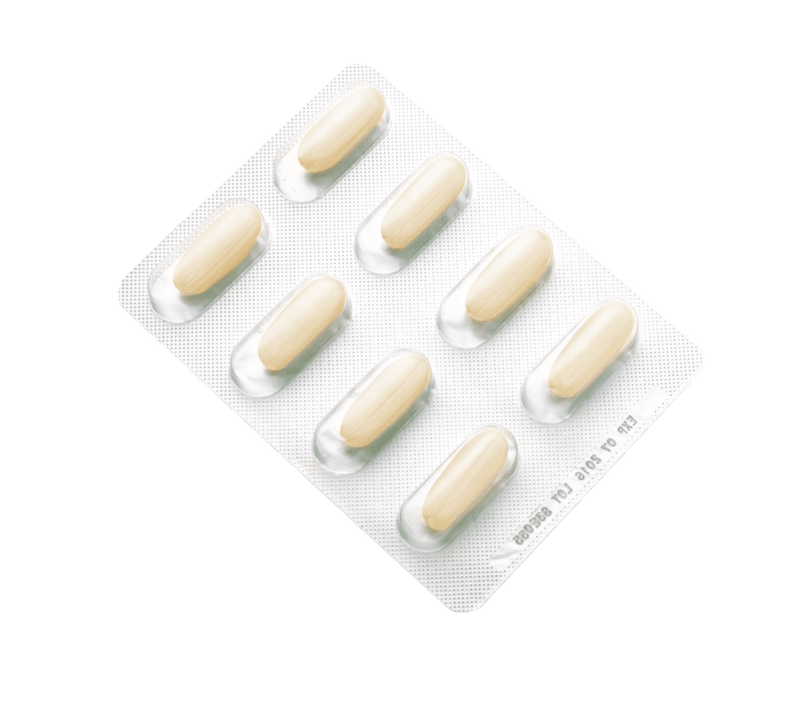 Take 1 softgel twice per day with food. Maximum of 2 softgels per day. Allow 3-6 months to experience maximum benefits.